collection of K Doyle. | © copyright 1995 Wayne Roberts. All rights reserved. Maritime subjects, wharves, container ships, cranes and rigging ...all these are subjects whose form and structure lend themselves to experimentation in composition, as well as in expressive means. 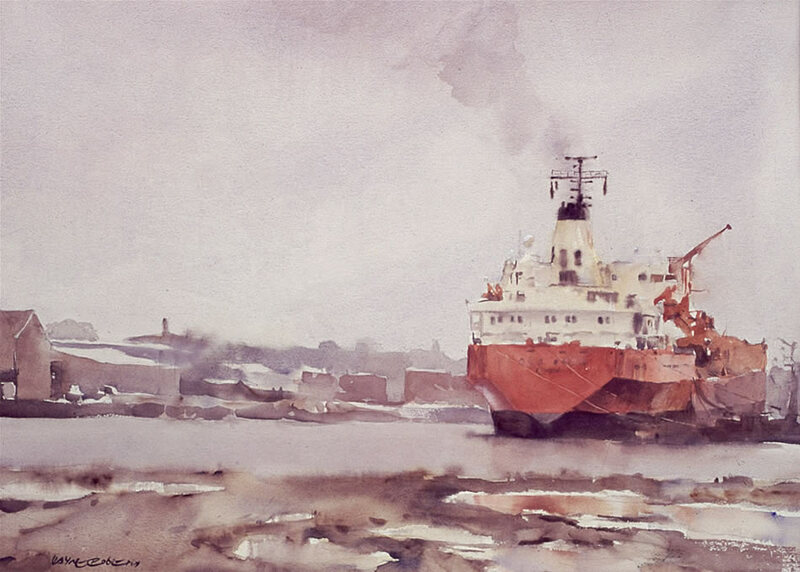 Melbourne, the location of this particular port scene, has long been a favourite subject of mine, especially in the period 1994-1999, and within the medium of watercolour.